So this is going to be a very touchy subject to some people.. So if you're kinda sensitive to some things, maybe reading this isn't in your best interest. I just want to know if anyone ever feels the way I do..
You ever had that feeling when you're watching a drama or just random clip of your favorite Korean star, that you HAVE TO MARRY THEM AT ALL COSTS!?!?! And then the sad, harsh reality hits that even though it's really nice to think about, you know it'll never happen and the chances of you even meeting them to say "Hi, dude, I love your music/dramas/movies, can I have an autograph" are slim to none? And you get really depressed because you know it's true? Yeah I'm kinda going through that right now. 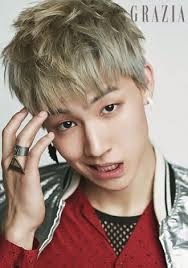 So I'm watching "Dream High 2" and if you don't know... JB from "JJ Project" and "GOT7" is in this drama..
Now, if you know me, you know I'm a huge fan of GOT7 and until recently Jackson was my bias. Well now it's JB. But anyways... I'm sitting here watching this and I think to myself. "I really love JB. I want to marry him." But then I got hit with this thought.. "I would never even have a chance. Normal people like me... We would never have the chance. Even if we were famous in Korea. It's literally impossible." and the more I thought about it, the more I realized.. This is seriously true. Even if someone like me was to get famous.. 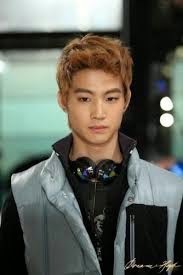 The possibility of me dating JB or anyone like him for that matter, is just very very highly unlikely. Because even though we're completely awesome people and everyone loves us anyways, everyone has their "Type" that they like. And I happen to not be anyone's type. I would get friend-zoned to hell and back. But I was just wondering.. Does anyone else feel this way or is it only weird ole me who thinks like this? And if you do think this way, does it actually make you feel depressed? Like almost to the point of tears? or is that still just weird ole me? Let me know, lovelies, I'm very interested to see if I'm the only person like this. And just so you guys know, as her mother, I will not allow such marriage...because he is MINE! !